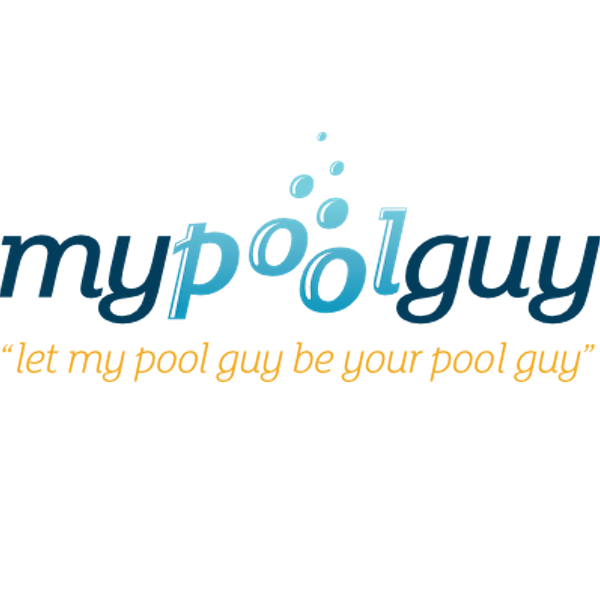 Guard against winter debris and keep your pool looking great all year long with a custom pool cover from My Pool Guy. 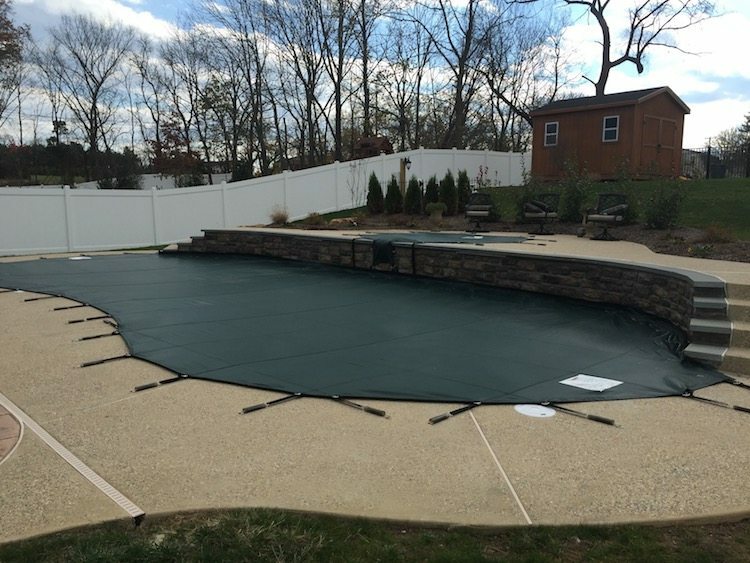 Aside from keeping your pool clean and secure during the off-season, we use pool covers that are designed with the safety of you and your family in mind. 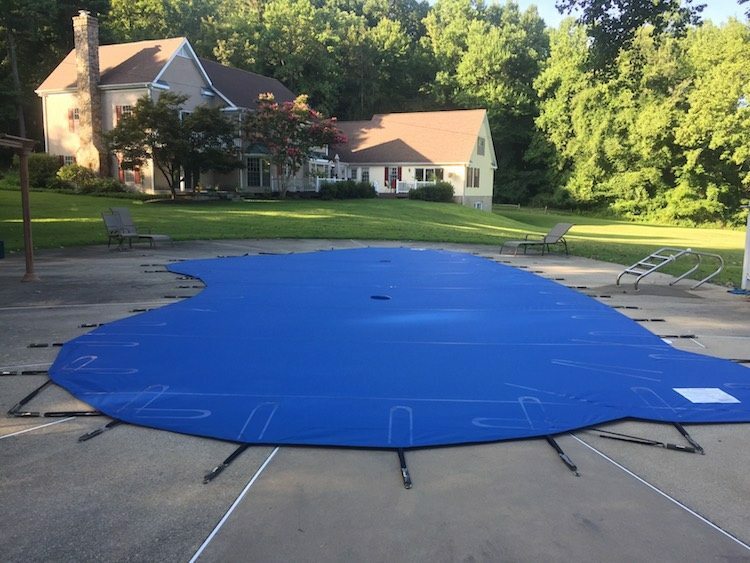 The Classic Solid Safety Pool Cover from Anchor Industries is made of 14 oz. vinyl coated fabric. Brass anchors recess flush with the deck, when not in use. Treated with antimicrobials, the Classic Solid resists the growth of mold, mildew and odor-causing germs. The Classic Solid rests on the water’s surface below the pool’s edge for additional strength and support. 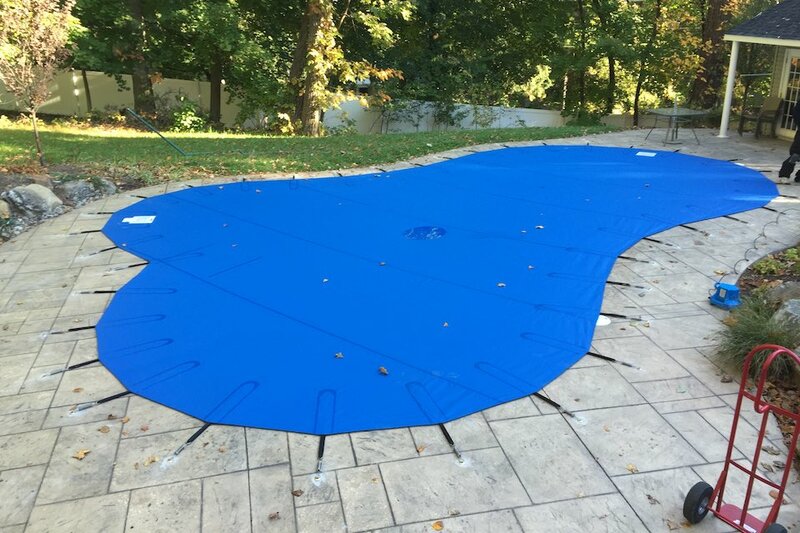 The 5-Star Safety Pool Cover from Anchor Industries features 360 degree tensioning for maximum strength and protection. 5-Star covers are constructed using 14 oz coated vinyl with heavy duty springs that stretch to accommodate the weight of winter precipitation. Tension webs are welded into place, leaving no conventional sewing perforations to weaken the cover. No cross webbing to trap leaves and debris. Brass anchors recess flush with the deck, when not in use. The innovative Defender Mesh Safety Pool Cover from Anchor Industries has many great features. First, it inhibits algae growth by stopping 98% of sunlight. Next, it reduces chemical loss from pool water. It also has D-Rings for ease of installation and webs are sewn on the bottom side of the cover so leaves and other debris can be easily removed. Brass anchors recess flush with the deck, when not in use. 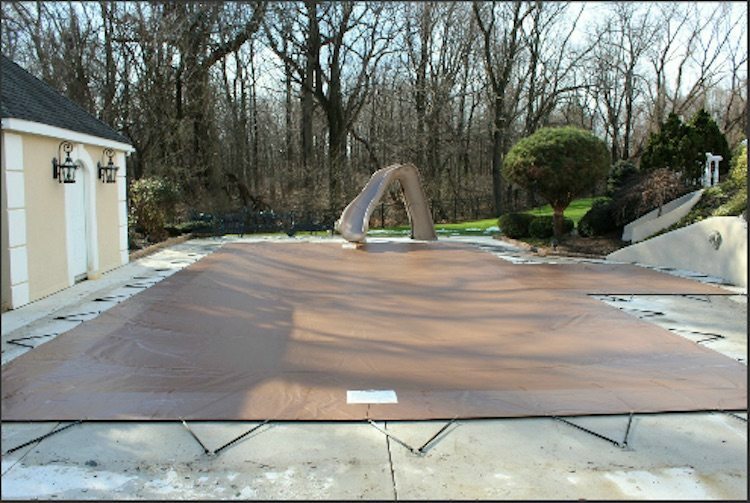 Over time, as a result of natural occurring weather events and normal wear and tear, safety pool covers need to be replaced. 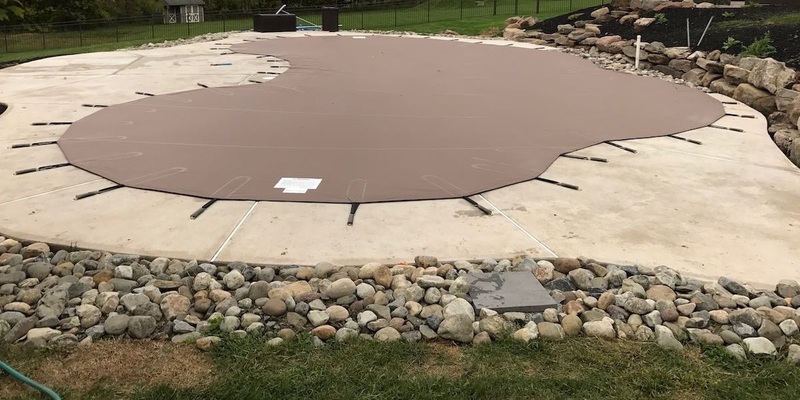 The Anchor Cross Star Cover can be customized to fit virtually any irregular shaped pool, and standard shapes including rectangles up to 6’ anchor spacing. Cross-Star replaces virtually any manufacturer s’ “cross web” or grid style pattern mesh or solid cover.